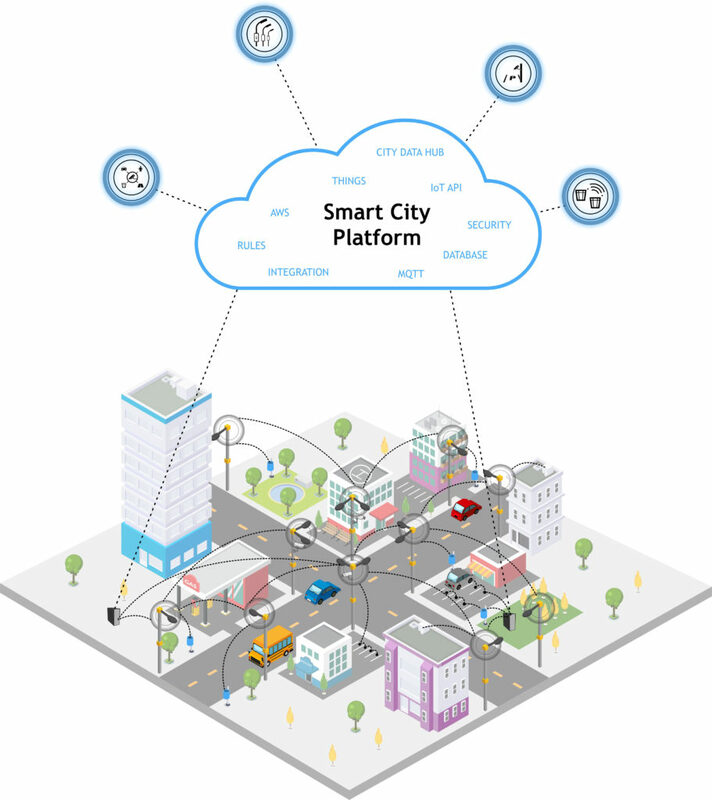 A city-wide network to connect your Things. In the GreenStreet smart city solution provided by Capelon, the foundation of the city network is the smart streetlight system. The streetlights communicate with one another in a meshed radio network. That is, the streetlights can help one another to find the optimal route to the internet and cloud with the IoT integration platform. These networked streetlights provide the city an infrastructure not only for streetlights but also for other sensors and devices such as traffic and weather sensors and information signs and parking sensors. The more the devices that will join the network, the better the city’s coverage will be. The meshed network consists of only end devices and gateways. No repeaters or special coordinator nodes are needed. Battery devices are also capable of routing, thus contributing to the city network coverage.